Phil Smith will transform your 2018 Corporate and Social events from good to GREAT! TRADE SHOWS-are all about marketing your booth in unique and memorable way! Phil will create for you 'magical' results! Increasing your traffic, leads, & buzz! Phil will help you stand out from your competitors and make your investments in all your 2015/2016 shows profitable! School Assemblies... can sit back and be delighted in smart, exciting programs that can educate and even include workshops. High School Project Graduation/ graduation parties: Making their last celebration unforgettable... school chem free celebration or a private family graduations. With more than 30 years of experience (starting at age of 10), over 8,000 performances, and the skill and charm to promote your company, or just create fun memories are all part of daily habits in making your event unforgettable!!! *Incorporating key messages into presentations! *Working in the 'guest of honor' so they are the star! Social events are very personal times that are often highlighted by entertainment. Wedding receptions (making 'the wait' for photos of bridal party disappear), Anniversary celebrations (company or personal) , Bar/Bat Mitzvahs (this once in a lifetime event needs outstanding entertainment like Mr. Smith) and over 4,000 birthday parties (Phil has entertained from 1yrs to 93yrs old parties.) A specialty for adults are 40th,50th, & 60th birthday celebrations. "All of my 15 girls were mesmerized by Phil Smith's performance!" "Phil is wonderful with children (and parents)...he engages his audiences (in this case 400 campers & parents) so that they actively participate in the magic." Portland Parks & Rec. HOLIDAY PARTIES- company social hours or after dinner entertainment that transforms your party from ordinary to extraordinary! "Your skills are of the highest caliber and very captivating!" Phil was AWESOME! An extremely talented magician, he had us all amazed at the variety of "tricks" he performed. Cards, coins, foam balls, juggling...Phil does it all. And his presentation is also incredible. There were 12 of us at my dad's 90th birthday party and he had all our names memorized within minutes of meeting us. He arrived on time (early actually, coming from Portland, Maine to Wellesley, Mass) and delivered as promised. 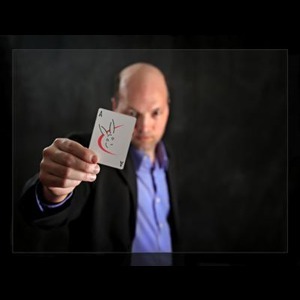 I'd highly recommend Phil to anyone looking for a magician to captivate, impress and amaze their guests, and who wants to make their function a memorable experience. 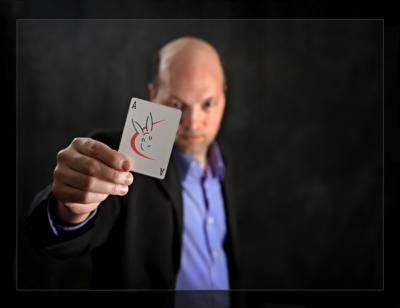 Now Phil, about that trick with the seven cards...WOW! Thanks! Phil was super accomodating to our PTA's changing needs and very easy to work with. His strolling magic and show were a big hit with the kids and adults at our event. He went way and beyond what we expected. I would highly recommend hiring Phil for any event! Phil performed at a Grand Opening event at a local retail store in West Lebanon, NH this past weekend. We had a face painter, balloon artist, and DJ but Phil stole the show with his magic. He is an excellent performer and very accomodating. 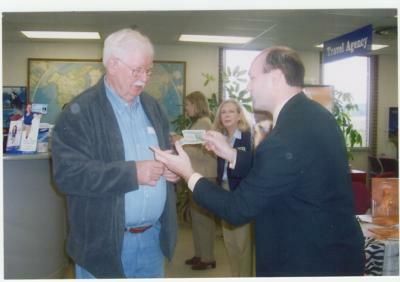 If you are interested in hiring a talented magician, I strongly recommed Phil! Phil was fabulous! Here he was working with children of major physical and mental disabilities, and he treated them with such kindness and patience. We were very impressed that he was able to remember their names and he included them in his performances, which made them feel very special indeed. We made an amazing Christmas memory for our granddaughter and for some wonderful other children as well. Thank you, Phil! made my daughters 5th birthday a day she will never forget!!!! Our experience with Philip was very good. He was punctual with his arrival, was very accommodating with our outdoor set up and was very engaging with the audience. Philip encouraged audience participation, which was great fun for the children who were attending our function as well as for our Residents and others. Following the performance, Philip took the time to take his adorable white rabbit around to Residents and others so that they could have the opportunity to see the rabbit up close and feel its soft fur. Comments from the crowd were very favorable and fun was had by all. Phil was fantastic! Friendly and funny. We had a few special requests that were not a problem for him. We would hire him again when the need arises and also recommend him highly! He was amazing for my girls double birthday party!! All the kids diffrent ages loved it! the price was reasonable and my child felt like a star. Thank so much for making it a day to remeber! Please note Philip Andrew Smith will also travel to Ocean Park, South Windham, South Freeport, Bar Mills, Freeport, Biddeford Pool, Cape Porpoise, Cape Elizabeth, Old Orchard Beach, Pejepscot, West Kennebunk, Kennebunkport, Scarborough, Biddeford, Newfield, Saco, South Portland, Emery Mills, Peaks Island, Kennebunk, South Hiram, Cliff Island, Long Island, Wells, Westbrook, York Beach, Chebeague Island, Bailey Island, Falmouth, Milton.